Saving for retirement can be challenging enough but it may be even more so for millennial women aged 18 to 34. According to a recent NFCC survey, 39 percent of women in the millennial generation struggle just to keep up with paying their regular monthly bills on time. Women are twice as likely to feel that their student loan debt is unmanageable, compared to men. And of course, the gender pay gap means that women earn 82 percent of what men earn on average, adding to their financial challenges. Creating retirement security in the face of those obstacles can seem like an uphill climb for millennial women. It is, however, possible with the right strategy. Getting retirement planning right for millennial women means taking stock of assets and resources, as well as being clear about long-term goals and objectives. Together, this can offer a perspective on what women should be working towards. An important step in retirement planning for younger women is establishing a baseline for their target savings goal. The number you choose ultimately depends on the type of lifestyle you're seeking in retirement. For example, millennial women who need to travel may need more money to retire than those who plan to downsize into a tiny home or continue working part-time in retirement. If you haven't taken time to develop a clear retirement vision, it's important to do that sooner, rather than later. A retirement calculator can be helpful in determining how much money you'll need to retire to fund your chosen lifestyle. You can then compare that to how much you have saved to see how much of a gap there is to fill. And it may be sizable; according to a 2018 survey, 45 percent of women have less than $10,000 set aside for retirement. Collectively, women owe more than two-thirds of the nation's nearly $1.5 trillion in student loan debt. Compared to millennial men, millennial women are three times more likely to report not fully understanding the implications of borrowing to fund their college education. Overall, millennial women have $68,834 in debt on average, including student loans, credit cards, and other debts. When debt stands in the way of finding extra money to save, getting rid of it should be a top priority. Refinancing can be a huge help for millennial women when high-interest rates prevent them from gaining any traction. Private student loan refinancing can result in a lower interest rate and it can also streamline monthly payments. While federal loans can be refinanced into private loans, doing so means losing certain federal protections, such as deferment or forbearance periods. Before considering any refinancing option, whether it's for student loans, credit cards or other debts, millennial women should compare the interest rates a lender offers and the fees they charge to ensure that they're getting the best deal possible. An employer-sponsored retirement plan can be a boon for millennial women but research suggests they're under-utilizing them. According to one survey, the average women has $38,000 saved in their 401(k), compared to $74,000 for men. 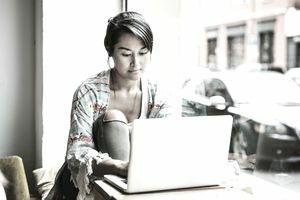 At a minimum, millennial women should be saving at least enough in their employer's plan to qualify for a full matching contribution, if one is offered. From there, they can begin working towards saving 10 to 15 percent (or more) of their income. Auto-escalation is a relatively easy way to accomplish that. Auto-escalation allows you to increase your contribution rate automatically each year by a preset percentage. If, for example, millennial women expect to receive an annual raise of 1 percent, they could correspondingly increase their annual savings rate by 1 percent. That allows them to grow their nest eggs faster, without feeling a significant lifestyle pinch. A Health Savings Account is another useful way to save. HSAs are associated with high deductible health plans and offer triple tax benefits: tax-deductible contributions, tax-deferred growth and tax-free withdrawals for health care expenses. While not technically a retirement account, millennial women who stay healthy could draw on their savings in retirement for health care or non-health care expenses. After age 65, they'd only pay income tax on non-medical withdrawals. Finally, millennial women can and should consider a Roth individual retirement account for saving. A Roth IRA offers the benefit of tax-free qualified withdrawals in retirement, which can be significant for women who expect to be in a higher income tax bracket. A traditional IRA, by comparison, would be fully taxable at retirement, but it does offer the benefit of tax-deductible contributions. The most important thing millennial women can do when it comes to retirement planning is to simply start where they are. Time can be a powerful influencer in determining your ability to save and accumulate wealth through compounding interest. Starting — even if it means starting small — is critical for getting retirement planning on the right track.